Nowadays if you ask kids which Cookies they like the most, Chocolate Cookies will be in their top list. 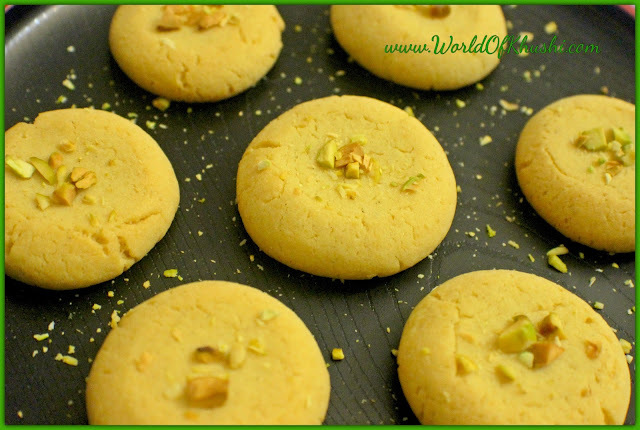 But when I was a kid the one Cookie type which I loved the most was NanKhatai. My mom and I absolutely love Nan-khatai but back those days we didn't have Oven in our Home so we used to go to Local Bakery Shops to get fresh NanKhatais. They are still my favorite! !😋 For those who don't know, NaanKhatai is derived from Persian word Naan meaning Bread and Afghan word Khatai meaning Biscuit. 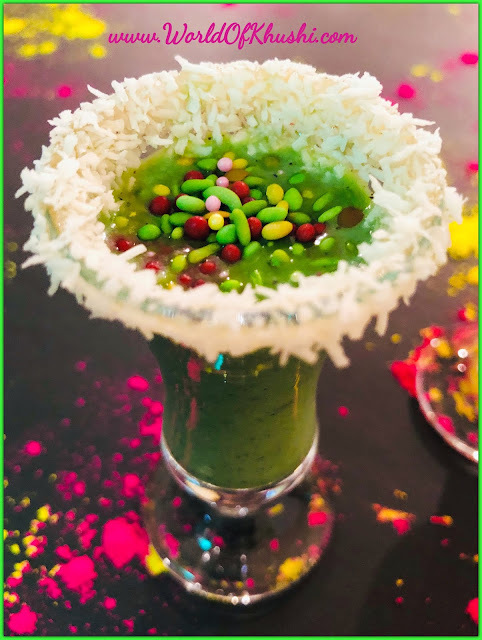 It is believed to have originated in the 16th Century in India. I guess NanKhatais and Jeera Biscuits are two traditional Indian Cookies which are famous in Indian Houses. There are so many different ways to make NanKhatais. In my hometown back those days Bakeries prepare these only using Maida. Cookies made up of Maida or All Purpose Flour are very soft in texture, however I like little crunchiness so I like to use little Besan and Suji. I feel that these Cookies not only goes well as Evening Snacks but also makes our festive season enjoyable. 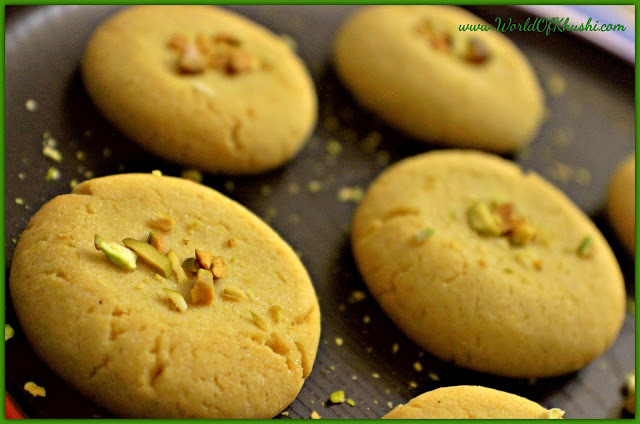 Let's make our delicious NanKhatais in today's post!!! Step 1. In a big bowl; add Maida, Suji, Besan, Powdered Sugar, Elaichi Powder and Salt. Step 2. Mix all the ingredients very well. Step 3. Start adding Ghee slowly and make a dough. Note :- Make sure that Ghee is not Hot or too melted, we want slightly melted at Room temperature. Step 4. We need a very soft consistency dough. Step 5. Divide into small-small portions and make around 18-20 small balls using your hands. Step 6. In Baking Tray place Parchment Paper, you don't need to grease the tray. Step 8. Top them on the centre with Pistachios & Almonds. Step 9. In a Preheated Oven baked them at 375 F ( 190 C ) degrees for 18-20 minutes. Note :- Start checking your NanKhatai after 15 minutes as every oven is different. We don't want to Burn our NanKhatais. Check at the bottom as there only color start coming first. We want little golden to lightly brown color from the bottom. Step 10. Once ready, cool these at the Room Temperature. After completely cool down, store the cookies in the air-tight container. Your delicious mouth-watering NanKhatais are ready!! Enjoy!!! Note :- Please follow the same quantity of the Ingredients which have been provided. If you want you can add little more Sugar to enhance the sweetness and same goes to Ghee. 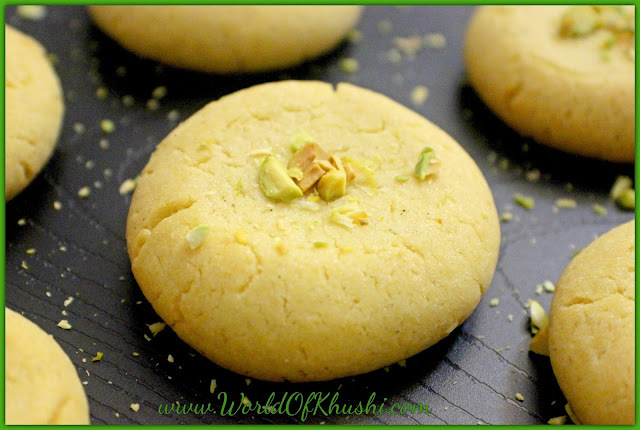 I hope you and your family will love this NanKhatai and it will turn out perfectly!! Share your recreations and feedback with us. Also let us know which Cookie is your favorite Cookie.